A member of the Engineering Nonlinearity’s Management Committee has been awarded a prestigious prize for a paper. 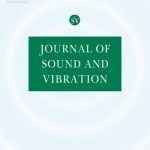 Professor Robin Langley, from the University of Cambridge, has received the Doak Award from the Journal of Sound and Vibration for his paper, A general mass law for broadband energy harvesting. Read Professor Langley’s prize winning paper here.